Ruth is as a scholar, creative artist, and performer, whose interdisciplinary research, practice, and teaching are particularly focused on experimental performance-making; community and educational arts; and the politics and poetics of theater, music, and dance in Mexico. Her home department is Music, with affiliations in Theater and Dance, Feminist Studies, and Latin American and Iberian Studies. She is co-convener of the Performance & Politics Research Focus Group. Ruth has a long career as a performer, teacher, ad scholar. With a foundation in music performance (junior music scholar, Guildhall School of Music and Drama, London: piano & violin), she then completed a BA Hons. in Music, Drama and Dance at the University of Birmingham (1980–1983). Between 1983 and 1994 she had a successful career as a stage and TV actress, singer and performer, and was a British Actors Equity member. She also worked as a community arts facilitator in a diverse range of settings, and completed a postgraduate certificate in Drama in Education. After fulfilling the role of Head of Music in two large secondary schools in Birmingham, she moved to Morelia, Mexico, where she carried out research for her doctoral dissertation (and played violin with a P’urhépecha string ensemble). Between 2002 and 2011 held a faculty post at the University of Winchester, where she taught contemporary devised performing arts and applied theatre, and set up and directed the InterAct Theatre Workshop for adults with learning disabilities. She has published, performed, and disseminated her research widely in a range of fields including: ethnomusicology, popular music studies, applied and interventionist theatre, dance studies, performance studies, Mexican studies, and tourism studies. Publications include: Embodying Mexico: Tourism, Nationalism, and Performance (2011, OUP); Women Singers in Global Contexts: Music, Biography, Identity (2013, University of Illinois Press); andCreating Experimental Theatre: memories / times / histories (Intellect, forthcoming). 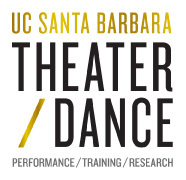 She recently performed Pre-now-post: una trilogía, a solo devised theater piece, at the Nitery Theatre, Stanford. She sits on the Board of Directors for the Congress on Research in Dance. Embodying Mexico: Tourism, Nationalism and Performance. New York: Oxford University Press. 2011. Companion Website: www.oup.com/us/embodyingmexico. 42 video resources recorded by R. Hellier-Tinoco, 2011. Women Singers in Global Contexts: Music, Biography, Identity, edited byRuth Hellier, with an Afterword by Ellen Koskoff. Champaign: University of Illinois Press, 2013. Companion Website: www.music.ucsb.edu/projects/womensingerswith audio, video, and other resources. “Meet Pablo and Juan: Perspectives on Rescuing, Reviving and Preserving a Tradition.” British Forum for Ethnomusicology Newsletter 16: 23-25,1998. “La Danza de los Viejitos de Jarácuaro: La Tradición Sigue Evolucionando.” Piel de Tierra: Michoacán, Ciudades y Regiones, Su Entorno, HIstoria y Cultura. Morelia: Instituto Michoacano de Cultura. 2(9): 37-39, 1998. “La Orquesta Uarhurhi de La Pacanda.” P'urhépecha Jimbo: Página P'urhépecha, La Voz de Michoacán IX.13.1998. “La Ceremonia del Cambio de Cargueros en La Pacanda.” P'urhépecha Jimbo: Página P'urhépecha, La Voz de Michoacán IX.15.1998. “La Esperanza del future.” P'urhépecha Jimbo: Página P'urhépecha, La Voz de Michoacán IX.17.1998. “La Fiesta del Señor de la Exaltación, en Santa Fe de La Laguna.” P'urhépecha Jimbo: Página P'urhépecha, La Voz de Michoacán IX.29.1998. “El Conjunto de Cuerdas de Juan Francisco Calixto.” P'urhépecha Jimbo: Página P'urhépecha, La Voz de Michoacán X.4.1998. “Maria Luisa Calixto.”P'urhépecha Jimbo: Página P'urhépecha, La Voz de Michoacán X.15.1998. “Don Felipe Ramos Santiago/ Don Dimas Esteban Mangato. P'urhépecha Jimbo: Página P'urhépecha. La Voz de Michoacán XI.17.1998. “Heliodoro Fouar Fermín y Miguel Bacilio.” P'urhépecha Jimbo: Página P'urhépecha, La Voz de Michoacán XI.1.1998. “El cohetero.” [photo] P'urhépecha Jimbo: Página P'urhépecha, La Voz de Michoacán XI.15.1998. “El amanecer.” [photo] P'urhépecha Jimbo: Página P'urhépecha, La Voz de Michoacán XI.17.1998. “¿Remando hacía el éxito?” P'urhépecha Jimbo: Página P'urhépecha, La Voz de Michoacán XI.29.1998. “Danza de los Viejitos de Jarácuaro.” P'urhépecha Jimbo: Página P'urhépecha, La Voz de Michoacán I.19.1999. “Los Sombreros de Jarácuaro.” Úkata: revista del arte popular michoacana 5(23): 23-26,1999. “La Corona: Símbolo de un Cargo, Cerveza y Flores.” Piel de Tierra: Michoacán, Ciudades y Regiones, Su Entorno, Historia y Cultura. Morelia: Instituto Michoacano de Cultura. 3(10): 35-38,1999. “A piece for the time being: The compositions of Mark Lockett.“ Seleh Notes 8(9): 8-9, 2000. “Limiting frames and stereotypical classification: the shortcomings of the exemplar scheme of work music at Key Stage 3.” www.worldmusiccentre.com, Cultural Diversity in Music Education, 2001. “Soul in a Suitcase: Metaphysique.” Total Theatre Magazine 15/3: 12-13, 2003. “Steady-state story simulations: Gamelan and electronics combine in the compositions of Mark Lockett.” Fourth Door Review 5/6: 11-16, 2003. “Experiencing People: Relationships, Responsibility and Reciprocity.” British Journal of Ethnomusicology 12(1):19-34, 2003. "Power Needs Names: Hegemony, Folklorisation and the Viejitos Dance of Michoacán, Mexico." In Music, Power and Politics, edited by Annie J. Randall, 47- 64. Routledge: New York and London, 2004. “Becoming-in-the-world-with-others: Inter-Act Theatre Workshop.”Research in Drama Education: Special Edition on Ethics 10(2):159-173, 2005. “Embodied artefacts of the Viejitos Dance of Lake Pátzcuaro, Michoacán, Mexico.” In Invisible and Visible Dance: Crossing Identity Boundaries. (Proceedings of the 23rd Symposium of the International Council for Traditional Music Study Group on Ethnochoreology) edited byElsie Ivancich Dunin and Anne von Bibra Wharton. “Creative Graduates Case study: Performing Arts: University of Winchester.” Scottish Enhancement Theme and PALATINE: a Subject Centre of the Higher Education Academy supporting learning and teaching in dance, drama and music, QAA, 2008. “Mexico, But Not Mariachi.” Classroom Music. Rhinegold Publishing. Autumn Term 2, 2009. “Dead bodies/live bodies: death, memory and resurrection in contemporary Mexican performance.” In Performance, Embodiment, & Cultural Memory, edited by Colin Counsell & Roberta Mock, 114-139. Newcastle: Cambridge Scholars Publishing, 2009. “Corpo/Reality, Voyeurs and the Responsibility of Seeing: Night of the Dead on the island of Janitzio, Mexico.” Performance Research 15(1):23-31, 2010. “¡Saludos de México (el auténtico)! : Postales, anuncios espectaculares, turismo y cuerpos actuantes.” Fractal 46:79-98, 2010. Book review of Lydia Mendoza’s life in Music: La historia de Lydia Mendozaby Y. Broyles-González. British Journal of Ethnomusicology 10(2):126-128, 2001.
Review Essay:Special Feature: New Books and Compact Discs in Mexican Music. Banda: Mexican Musical Life Across Bordersby Helena Simonett; Virtuoso Mariachi by Jeff Nevin; Heroes and Horses: Corridos from the Arizona-Sonora Borderlands,Smithsonian Folkways Recordings, CD; Viva el mariachi! Nati Cano’s Mariachi Los Camperos. Smithsonian Folkways Recordings, CD. British Journal of Ethnomusicology 12(2):107-115, 2003. Recording review of ¡Llegaron Los Camperos!-Concert Favorites of Nati Cano’s Mariachi Los Camperos and Aztec Dances-Xavier Quijas Yxayotl. World of Music 48(1):120-122, 2006. Recording review of El ave de mi soñar: Los Camperos de Valles: Mexican Sones Huastecos and Mexique/Mexico: Sones Huastecos: Los Caimanes de Tampico. World of Music 48(2):189-191, 2006. Book review of Music in Latin America and the Caribbean: An Encyclopedic History edited by Malena Kuss. Bulletin of Latin American Research 25(1):150-151, 2006. Book review of Aesthetics in Performance: Formations of Symbolic Construction and Experience edited by Angela Hobart and Bruce Kapferer. Dance Research 22(2):175–77, 2006. Book review of Maya Achi Marimba Music in Guatemala by Sergio Navarrete Pellicer. Bulletin of Latin American Research 26(1):157-158, 2007. Book review of Sounds of the Modern Nation: Music, Culture, and Ideas in Post Revolutionary Mexico by Alejandro L. Madrid. Ethnomusicology 54(1):141-146, 2010. Book review of Música Norteña: Mexican Migrants Creating a Nation between Nationsby Cathy Ragland. Ethnomusicology Forum 21(2): 290-292, 2012.